LONDON (IDN) - Significant falls in the cost of renewable energy are making it competitive with fossil fuels in countries worldwide. 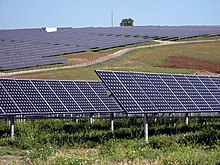 The reduced costs of solar and wind, in particular, are changing the energy landscape dramatically, especially in remote areas, such as islands, where solar has become the most economic option for communities that are off-grid and rely predominantly on diesel generation for their energy needs. The increased competitiveness of renewables is due to a combination of reduced technology costs and greater efficiency of equipment, as a result of rapid deployment, stimulated by support policies to overcome barriers. These are the findings of the International Renewable Energy Agency (IRENA)’s new publication, Renewable Power Generation Costs in 2012: An Overview. The report – presented on the first day of the World Future Energy Summit (WFES), held in Abu Dhabi from January 15 to 17 – analyses 8,000 medium- to large-scale renewable power generation projects and is the most comprehensive analysis of the costs and performance of renewable power generation currently available. According to the report, mature renewable technologies such as biomass, geothermal and hydropower remain the cheapest, but the costs of technologies such as solar photovoltaic (PV) modules – which have seen a 65-75% reduction in the last two years – are becoming increasingly competitive. In the case of wind, equipment performance has improved – meaning that it is possible to harvest more energy for a given wind resource – and turbine costs have also come down. These advances mean that onshore wind is now competitive with fossil fuels in many countries and, in some cases, it is more economic than gas-fired generation – even in the age of cheap gas. Further reductions are projected in the coming years. According to IRENA, to 2020 the rate of decline for solar PV costs is likely to be slower than in recent years, but concentrated solar power (CSP) and wind may see an acceleration. For example, the report shows that wind turbine costs in China are currently significantly (50-60%) cheaper than those produced in OECD (Organisation for Economic Co-operation and Development) countries, giving an indication of the additional cost reductions possible over the next few years. In spite of these encouraging findings, renewable energy deployment continues to be hindered by the outdated public perception that renewables are not economically competitive against conventional energy solutions based on fossil fuels. The lack of cost data is a further obstacle to the expansion of renewable energy, as there is insufficient publically available data to enable policy makers to make robust decisions about the role of renewable power generation. IRENA’s report and cost analysis programme go some way to addressing these barriers, but a dynamic and systemic collection of costs data is needed to analyse emerging trends and the challenges facing renewables. One area that needs further analysis is the balance of system costs. Speaking at a series of expert briefings on the costs of renewables – held at IRENA’s booth throughout the WFES – IRENA analyst Michael Taylor highlighted the balance of system costs and operation and maintenance costs as an emerging issue for the next few years and emphasised that even if equipment costs continue to decrease, the reduction potential in overall costs will be limited if the balance of system costs is not addressed. While these are significant challenges to overcome, IRENA’s Renewable Costing Alliance – together with projects such as the Renewable Energy Data Collection Framework (REDAF), a joint initiative with the Renewable Energy Policy Network for the 21st Century (REN21) – can raise awareness of the importance of cost data and support the establishment of policies that can facilitate a transition to a truly sustainable energy future.